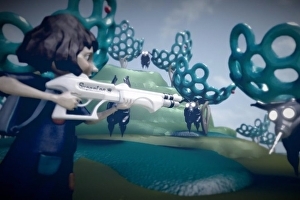 Pixeljunk developer Q-Games’ upcoming empire-building sandbox affair The Tomorrow Children will receive an open beta this Friday, 3rd June, at 9am UK time. It will last until Monday, 6th June at 9am UK time. The Tomorrow Children is set in a strange void where you send children to islands on a bus, have them gather resources, then receive rations, build generators, and erect defences against mysterious monsters called the Izverg.